Please use a desktop browser in order to view these videos. 6. Slang. a dirty, cheap, or disreputable place of public accommodation or entertainment, especially a restaurant or nightclub. With semantics out of the way, we can get to brass tacks, The Joint was the brainchild of Veronica Pantoja since the start of the 1990’s however, the first episode of the show made its on air debut in the Spring of 1996. The Joint was a thirty minute long, bilingual (English/Spanish = Spanglish) music show dedicated to showcasing the Latino youth counter culture. It documented the independent, underground – rock – alternative music scene happening in Southern California in the 1990’s. The Joint was entirely student produced programing. Developed and produced at Oxnard College Television Studio located in Oxnard California. Those were some AMAZING times that I feel extremely HAPPY and privileged to share with you now. The Joint consist of four individual episodes where you’ll find unique interview and music from highly influential bands, from the Rock En Español scene, that cannot be seen anywhere else. 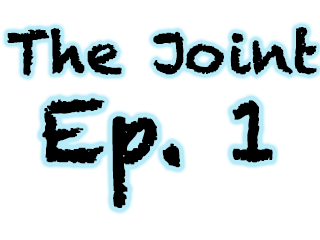 The Joint episode 101 features El Guateque 2, interviews with two indie Rock En Español bands from Los Angeles, An interview with Latin ska band Voodoo Glow Skulls at their record release party for the Spanish version of their album “Firme”,with a live performance by Rock en Espanol band Los Olvidados, plus the music video for their song “Charlie Brown”. The Joint episode 201 features a documentary style “day in the life of” La Lupita. La Lupita is a Mexican rock band from Mexico City. 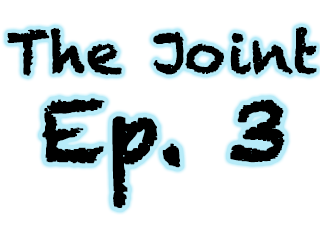 The Joint episode 301 features a documentary style interview with Fobia. Fobia is a Mexican rock band from Mexico City. The Joint episode 401 features interview and live performance with the musical ensemble Yeska, interview and music video of Mexican indie rock band Pastilla, interview and music video with Latin fusion group King Chango.